Fan favorite Ace Hood may have had a bit of a tumultuous career, including some “drama” with the eternally-affable DJ Khaled, which some felt stemmed from Khaled neglecting to give Hood the attention he deserved. However, Hood wastes little time in setting the record straight on introductory cut “To Whom It May Concern,” rapping “sorry for the absence hope ya’ll understand, no more ‘we the best’ but Khaled’s still my man, critics want the beef but I’m not feedin’ in.” It’s good news for fans who simply wanted new music from Ace Hood, and there’s no doubt that the majority of his base won’t hesitate for a second to accept the apology.Over the course of the thirteen track project, Hood delivers a consistent batch of solid flows, catchy melodies, and clever bars (that Lu-Kang kick bar on “Play To Win” though…) On a day that may very well be one of the best hip-hop drop days in recent memories, Ace Hood’s Trust The Process simply adds to Scrooge McDuckian pile of musical gold; if you suffer from anxiety of choice, I’m not really sure what to tell you. 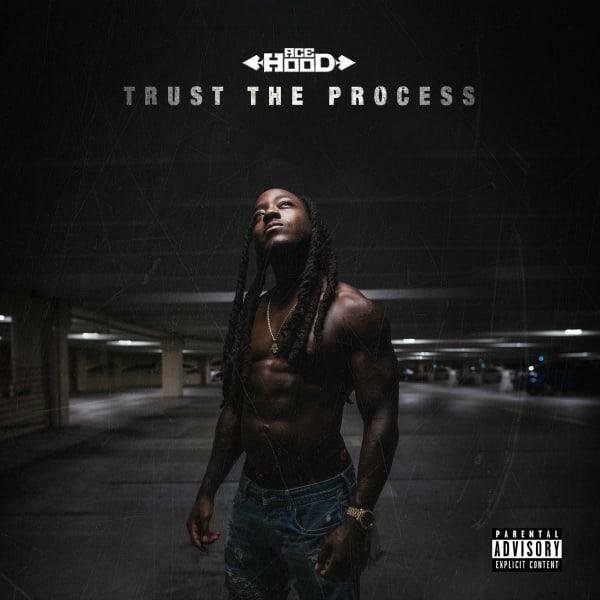 Now, Hood is promising that Trust The Process is the opening chapter of a trilogy, which will culminate in the release of another official “album” in a year or so. Still, we all know that a mixtape is basically an album these days, and Trust The Process remains an excellent listen from front to back.